I couldn't believe how many plants came in this package, well worth the money! I bought 4 and planted them in March. They all have flowers and berry and about 12 inches after 6 months. 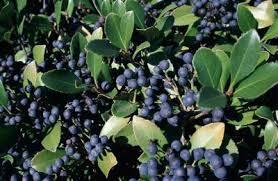 A package of fifteen unique and hand selected berry plants that are perfect for your growing zone will be included with this grab bag purchase. The plants will already be between two and three feet in height and will be at their bearing age upon arrival. All our plants are USDA certified and grade A quality and are handled with care. These are grab bags so please understand we do not guarantee any particular species or take requests for different types of berry plants to put in them. Berry plants bag has ten unique and hand chosen ferns, perfect for your planting zone. All mature and will be knowledgeable size within six weeks after planting. This is a grab bag, and however we do hand choose berry plants perfect for your zone, we do not accept requests asking for specific species of our plants. However, you will not be disappointed! We promise that you will be perfectly happy with your purchase. Each plant is hand selected and shipped with care to your home. Upon arrival, they will be ready to go in the ground and start producing fresh and delicious fruit for the whole family and friends. Any of these berry plants can be made into a variety of dishes from turnovers to pies and other baked goods to jams and jellies that you can store and enjoy throughout the colder months of the year. Do not also forget to order some fast-growing soil to help get these plants established in their new landscape and garden area. 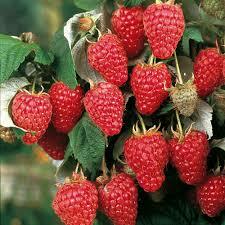 It is an ideal way to try out a plethora of berry plants and see which ones you and your family will enjoy the most. From strawberries to raspberries and all that is in between, you are sure to get the most out of this grab bag and more!